When was the last time you thought about your home’s piping? Most people forget about their plumbing systems until something goes wrong. We never turn a tap knob without expecting water to flow out — but we rarely think about the internal workings of the system. Too often, this naivete results in costly repairs and downtime for your plumbing system. You can reduce your monthly expenditures by simply taking a little time to care for your plumbing system. 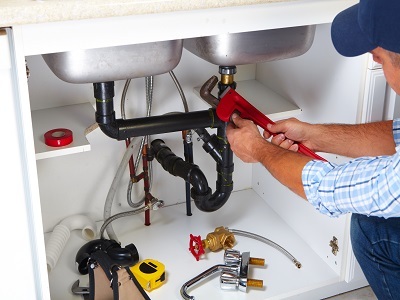 At Emergency Plumbing & Solar, we make plumbing maintenance, repairs, and installations easy. Whatever you need, we can find a solution that fits. Leaks – We see a lot of leaking pipes during the winter months, though dripping faucets are common year-round. Most pipes drip near the joints — watch for wet spots overhead. Running Toilets – A running toilet will waste nearly 200 gallons of water per day. That’s a lot! Dripping Faucets – At one point or another, we’ve all had a dripping faucet in our home; many of us ignored the issue, and paid for it in expensive water bills. As you can see, we’re a well-rounded plumbing company. In the end, we’re focused on you. To schedule professional plumbing service, contact Emergency Plumbing & Solar at 808-691-9309. We’re here for you! Residential Plumbing Overall rating: 5 out of 5 based on 10 reviews.